Big Fat Piggy Bank: B1G1 Jamba Juice! Here is a new coupon for B1G1 Jamba Juice from now until 4/25! 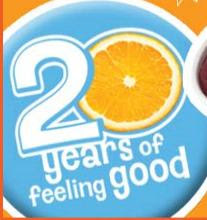 Jamba Juice is celebrating their 20 year anniversary so this is their way of saying thank you!